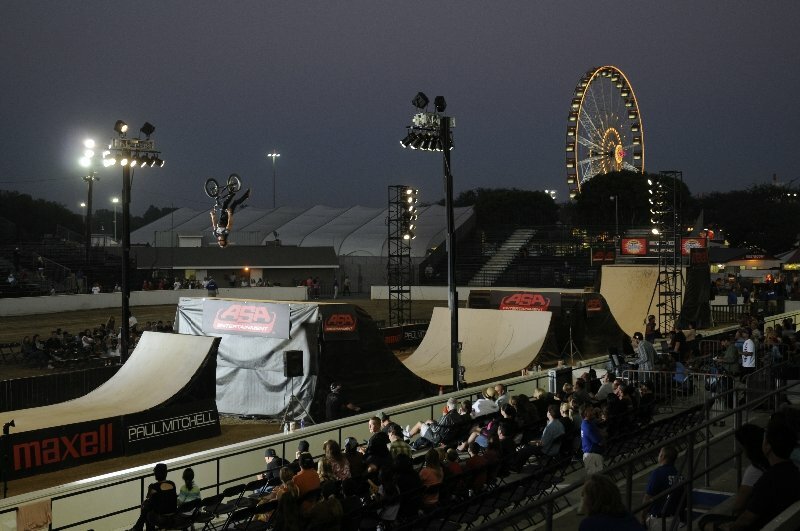 The 2008 Orange County Fair will enjoy three days of the best in action sports entertainment when ASA Entertainment’s Big-Air BMX Triples event, jumps into action during the final week of this year’s OC Fair activities. 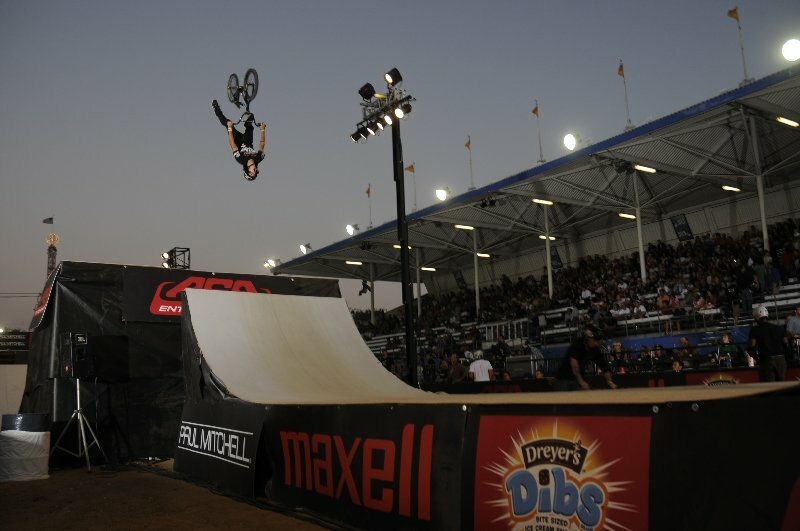 The first ever standalone Big Air BMX Triples event in Costa Mesa, CA had one heck of a final round. 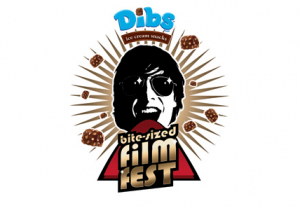 Austin Coleman, TJ Ellis, Rob Darden, Diogo Canina, Koji Kraft… you knew from the get-go it was going to get crazy. Twenty-Four riders made there way through qualifying rounds on Tuesday and Wednesday night before being slimmed down to a twelve-man final. The Final format was three rounds of head-to-head competition. In each round the riders got two runs through the course, and the best run counted. 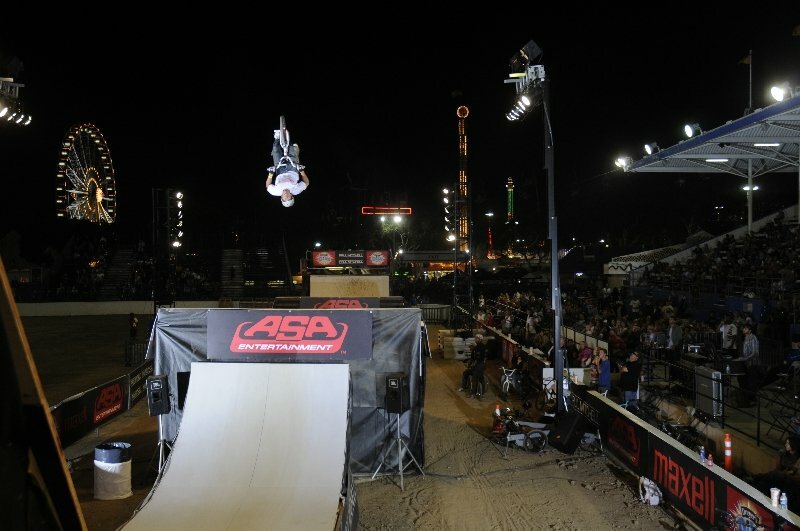 A slip up or a safety run could mean early elimination, so the big tricks were coming out all night long. Front flips, superman backflips, backflip tail-whips, and even a windshield wiper (tail-whip to tail-whip back), a trick very few people have ever done, from Ricky Moseley. When the dust cleared from the first two rounds, three men stood atop the roll-in: TJ Ellis, Austin Coleman, and Diogo Canina. 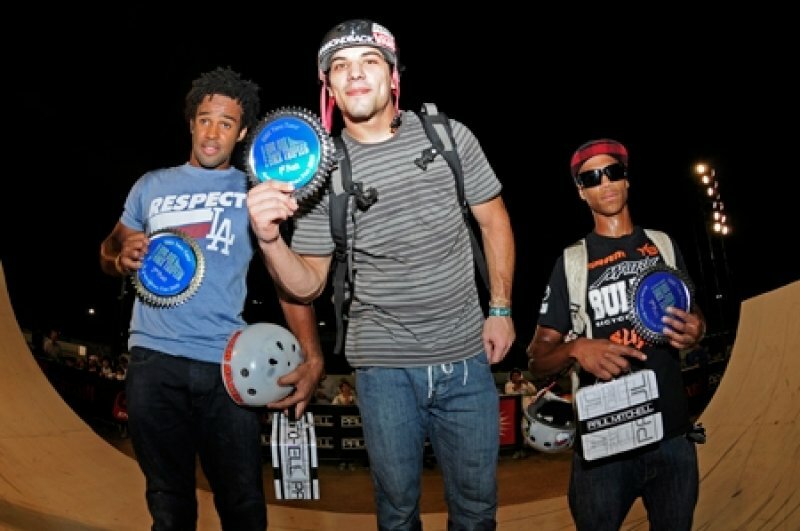 All three of these guys possessed the big tricks to win, and all three of them knew it. But Diogo Canina’s huge flip-whips and overall consistency were not to be stopped, even by Coleman’s no-handed front flip and Ellis’ 360 double tail-whip. It was banger after banger tonight, but first place heads back to Brazil with Diogo, followed by Austin Coleman in second and TJ Ellis in third. 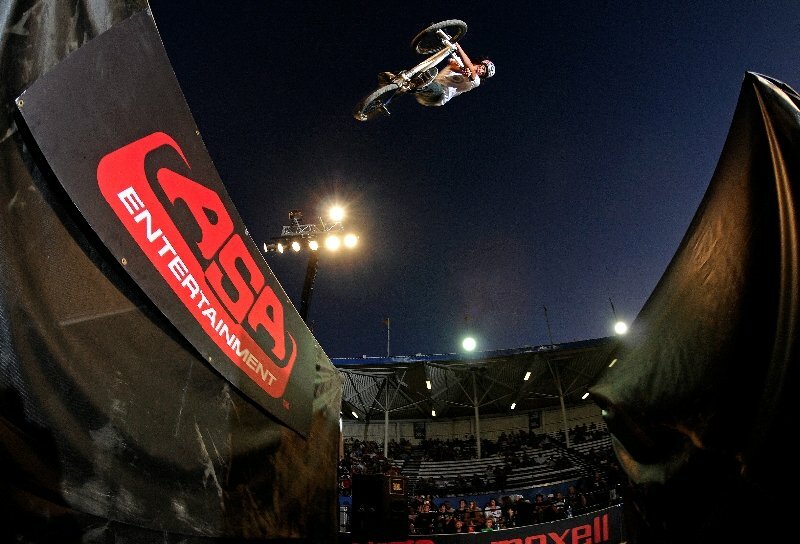 The Big Air BMX Triples format makes for an exciting event with no holding back from the riders. It’s full-throttle all the way through the night. 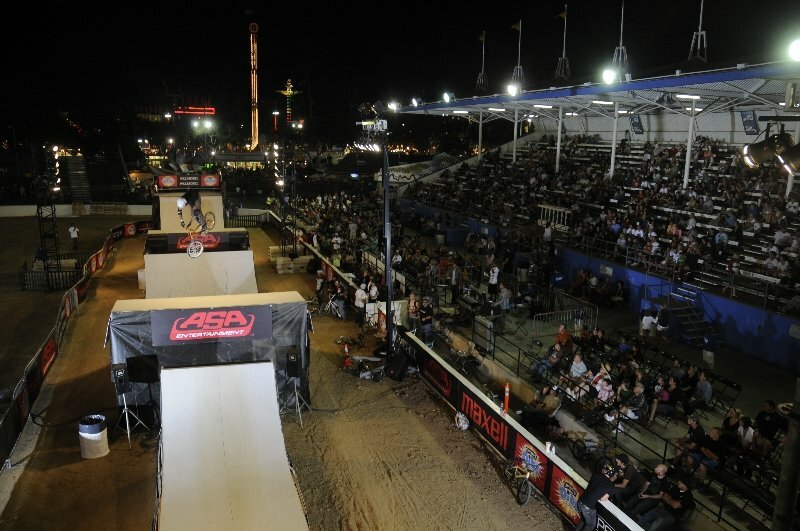 Now that the course is dialed in, and the riders are used to the format, it can only get bigger from here.